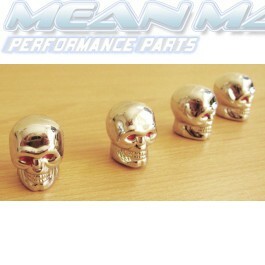 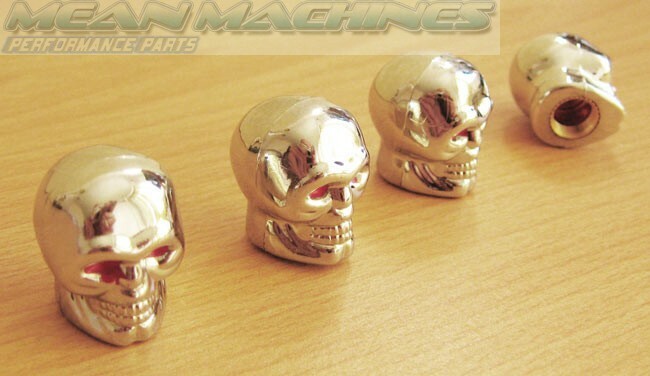 Polished chrome skulls valve caps, set of 4, complete with red eye detailing. 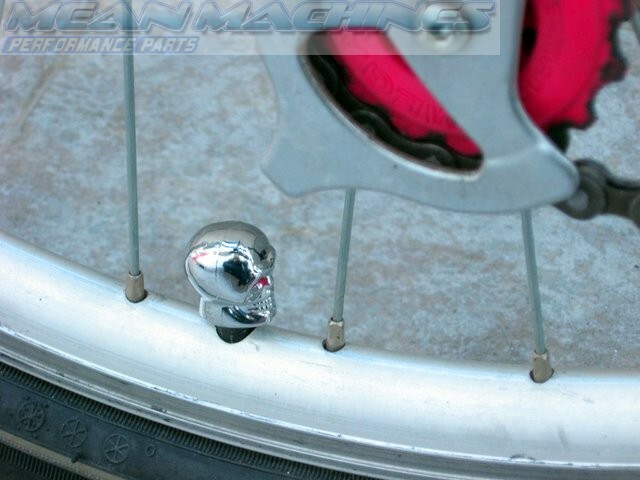 A perfect finishing touch to your tyres, complimenting both standard rims and making alloys shine. 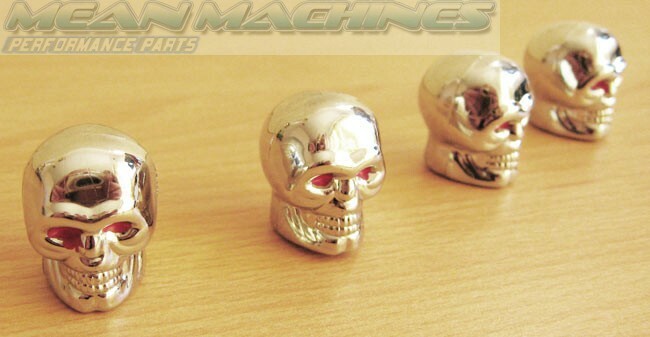 Can also be installed as bicycle tyre valve caps.